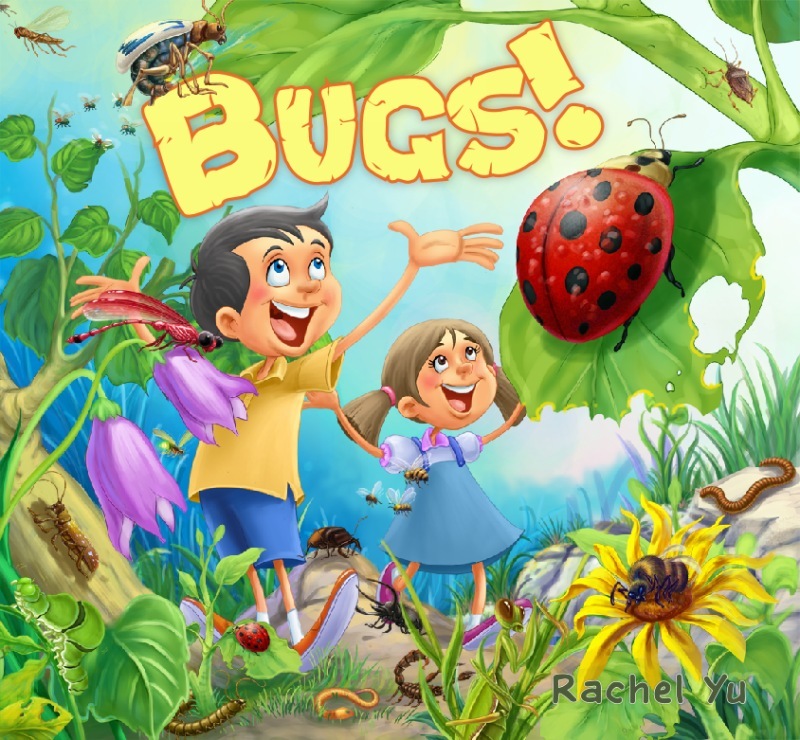 Rachel's Book Corner: New Book: Bugs! A Gorgeously Illustrated Children's Picture Ebook for Ages 2-8. Bugs are gross! Bugs are icky! There's a lot, so don't be picky! Some are covered in hair, and some are absolutely bare! Some crunchy and some are gooey. Some are squishy and some are chewy! Bugs come in all sorts of shapes and sizes. They range from red and black to green and yellow, to spotted and transparent. Follow along with these fun rhymes describing some funky bugs, accompanied with some colorful bug-filled illustrations.